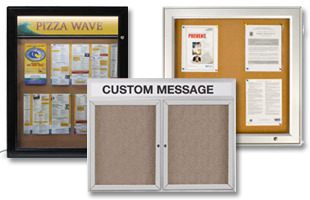 Presentation Boards for Expos, Trade Events, and More! 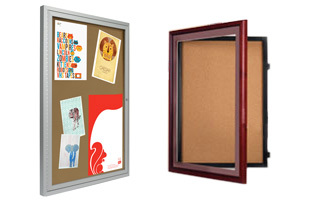 We sell a wide variety of presentation boards that are designed to meet your trade show, convention, or exhibition needs. 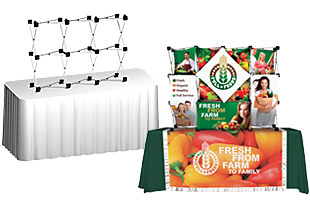 Display boards, such as tabletop displays or project boards, offer a versatile, as well as, inexpensive way to present information at promotional events. 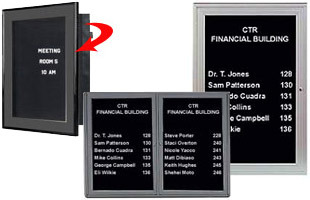 Our complete line of portable presentation boards includes a variety of styles and sizes. Many products include custom headers! Tabletop presentation boards are great products for your company to invest in if you frequently participate in tradeshows or sales calls. 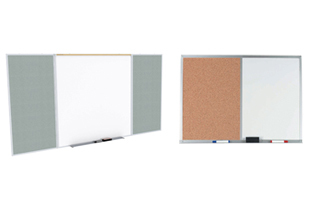 Presentation boards are small and lightweight, and most fold down into convenient carrying bags. 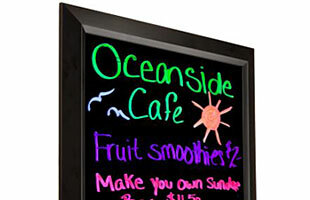 The size and weight of these tabletop displays allow for easy transportation and storage. 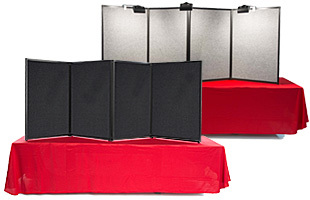 These project display boards are ideal to use when you do not have time or space to set up huge display booths but still want to have the benefits of an impressive display. 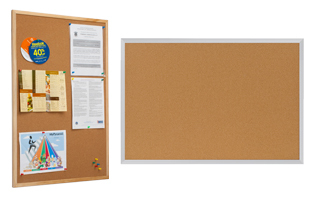 Display boards, also known as display boards, can be used for a variety of applications ranging from tradeshows, job fairs, research presentations, speeches, science projects or sales calls. These events play a crucial part in expanding your company's business and building consumer knowledge of your products, so it is important to make a good impression. 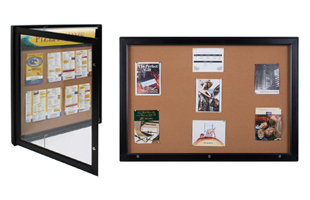 With a tabletop display board you will be able to inform your customers about your products and services in a professional and organized fashion. An entire presentation can be laid out for visitors to read at their convenience or you can use it to highlight points during a speech. Businesses have to present their products or ideas to the public and these science project boards make versatile displays to do so. 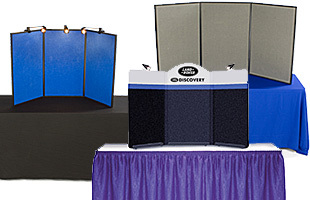 In addition to the items seen on this page, we sell thousands of different POP displays, trade show products, as well as retail displays that are available for purchase through our online catalog. 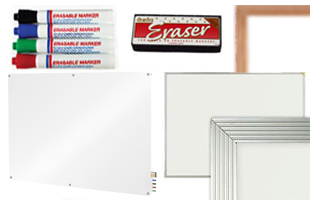 Browse our main shopping page for thousands of products that are in stock & ready to ship. We have been manufacturing and packaging proprietary fixtures and marketing displays for over 39 years. We are a leader in this niche industry and our product line continues to grow daily. With the evolution of on-line stores, a lot of "virtual" display houses have introduced themselves into the POP marketplace. These virtual display houses are nothing more than brokers, often re-faxing your purchase order to a real display manufacturer. As a broker, they lose control over quality and service. You, as the customer, are the one that suffers when virtual display house brokers pretend to be more than what they are. We are a real company with real people and can provide the highest level of customer service from the start to finish of your purchase. Start shopping today!